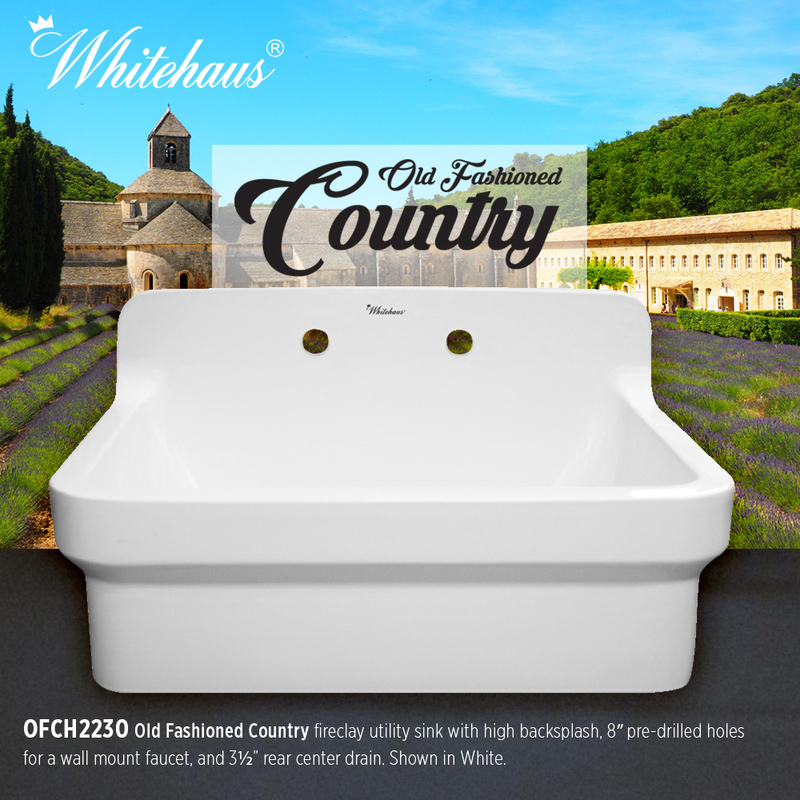 Handmade from natural clay, molded, and then baked into an elegant, smooth and glossy finish, Whitehaus Collection®’s Old Fashioned Country OFCH2230 utility fireclay sink is visually appealing and timeless in design. 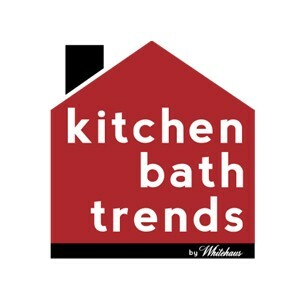 Measuring at an impressive 30” x 22”, it comes complete with a high backsplash and 8” pre-drilled holes for a wall mount faucet. Available in White, Biscuit, Black and Sapphire Blue. 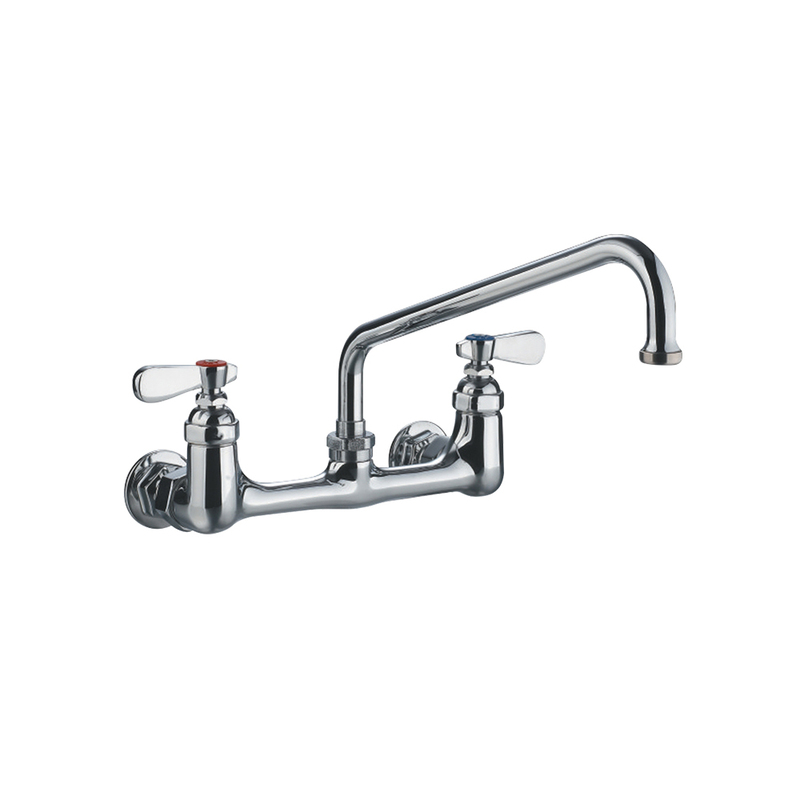 Heavy-duty wall mount utility faucet has an extended swivel spout with an 8″ reach and lever handles. 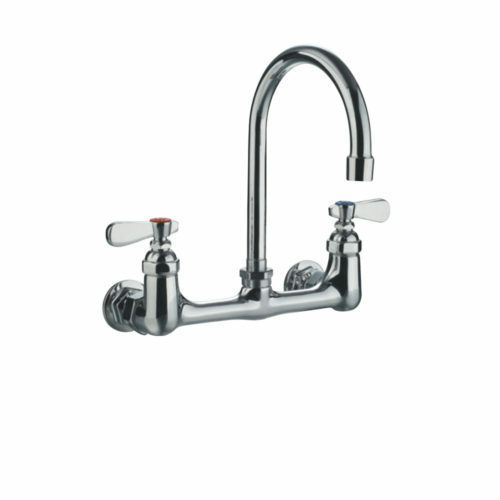 Wall mount utility/laundry faucet with gooseneck swivel spout and lever handles. 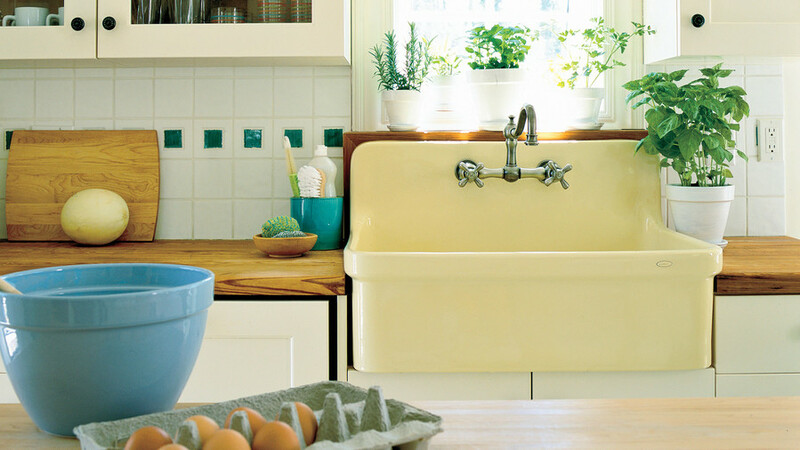 View the whole line of Whitehaus Collection Farmhaus Fireclay kitchen sinks here.